How will the works affect traffic? 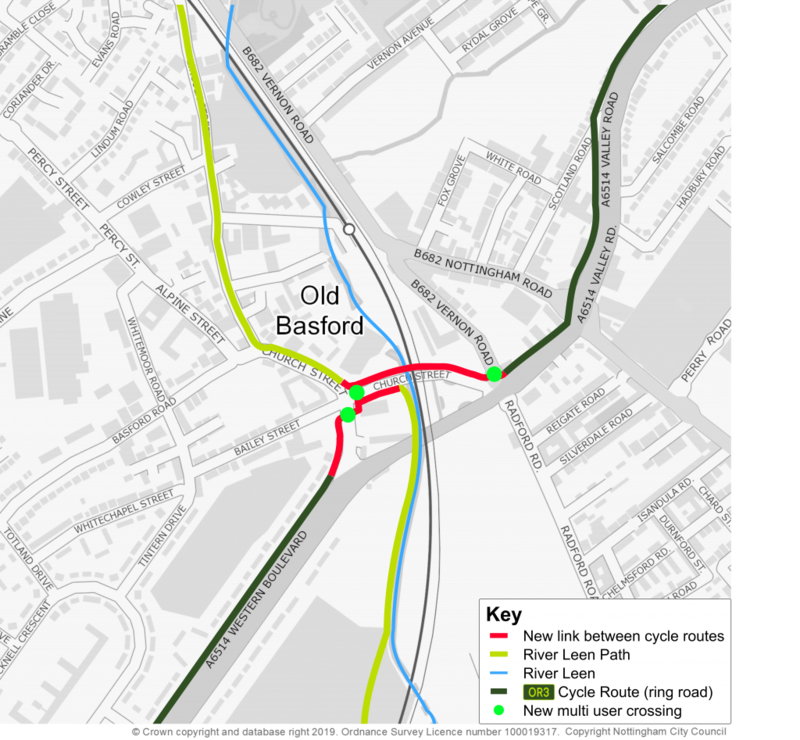 Work began on Monday 4 February to improve cycling and pedestrian facilities along Church Street, Basford which will better connect two key cycle routes – the ring road and the River Leen. 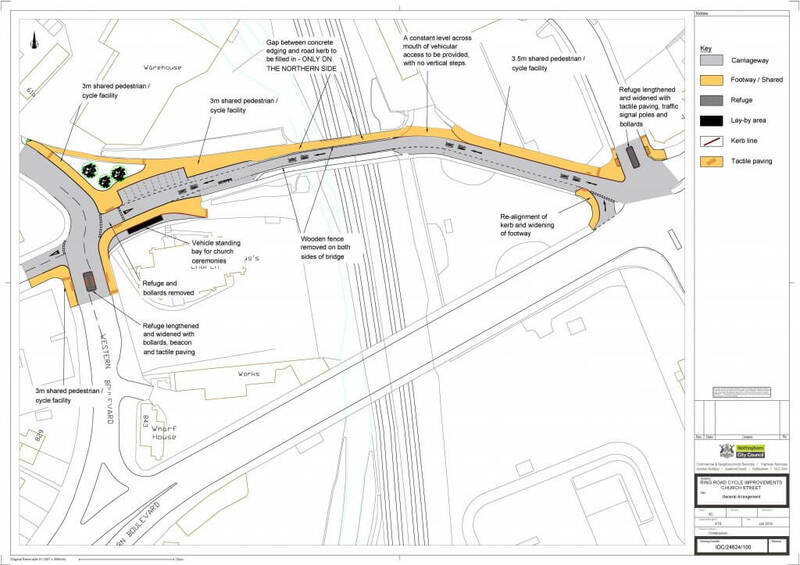 The footpath will be widened along Church Street to create a shared cycle and foot path. Crossings will be improved and lighting and fencing upgraded. This section will then be signed for cyclists, integrating it into the wider cycle network. In addition to this the council will be creating additional parking bays for visitors to the nearby businesses and community centres, and providing a designated bay for vehicles involved with church ceremonies at St Leodegarius. Work will be complete by the end of March, so the new path will be ready for when the weather warms up and more people get back on their bikes. Councillor Dave Liversidge, Nottingham City Council’s Portfolio Holder for Transport, said: “When we upgraded cycle facilities along the ring road there were certain sections we were unable to improve due to complications and funding restrictions. We’re pleased that we can now begin to fill in some of the gaps in the network, and improve the connection between the ring road with routes along the River Leen, using funding from Defra as part of the clean air agenda to promote active travel. Access to homes, business and community centres will be maintained at all times, but there will be signed local diversions in place. 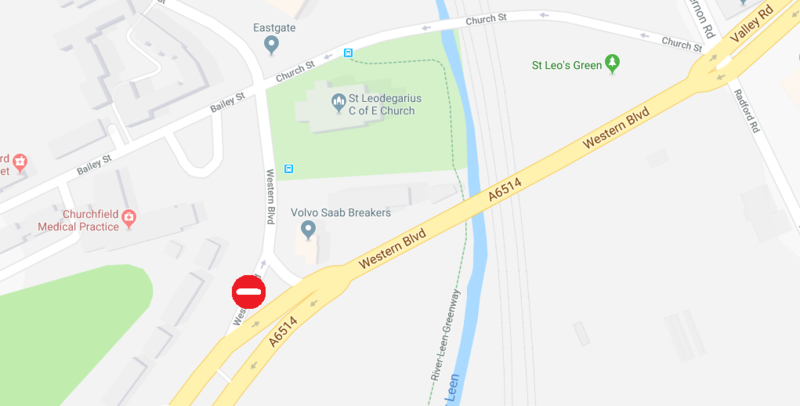 As part of the project we will need to close the slip road off Western Boulevard for a short time, local traffic will still be able to access Church Street via the junction with Vernon Road Valley Road. Heavy goods vehicles will need to follow the signed diversion via Valley Road, Hucknall Road and David Lane. This closure will be in place from Saturday 23 February until Friday 8 March.